Cancer of the ovary is among the most common female genital tract cancers and has the worst prognosis. This is largely caused by the fact that these cancers are detected at late stage of disease, because of absence of early clinical symptoms. 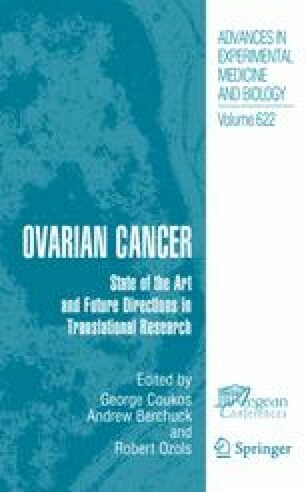 Consequently, early events in ovarian carcinogenesis remain remarkably unknown. Therefore, the precursor cell of these tumours remains a matter of debate (1, 2). Three explanations as to the origin of serous ovarian adenocarcinomas have been put forward. The first one points towards the ovarian surface epithelium (OSE) as tissue of origin (3). Second, remnants of the embryologic Müllerian duct, the secondary Müllerian system, have been suggested as possible tissue of origin (4). The third is the Fallopian tube inner surface epithelium (TSE) (=oviduct epithelium) (1, 5). In this chapter, the third possible origin is highlighted.